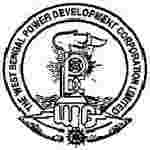 WBPDCL recruitment 2017 notification has been released on official website www.wbsedcl.in for the recruitment of 02 (two) for Medical Officer Vacancies. Job seekers should apply on or before 28th December 2017. Here on this page you will get the details like the Name of vacancies released by WBPDCL with exact number of posts. Some other criteria like Education details, application fee and way to apply application for WBPDCL recruitment 2017. Educational Qualification: MBBS degree from recognized University approved by MCI/any State Medical Council of India with valid Registration No. for Medical Practice issued competent authority of India. Fee charges: Applicants who wanted to participate for WBPDCL should pay the below charges through Demand Draft drawn in favour of “West Bengal State Electricity Distribution Company Limited” payable at Kolkata. Interested and eligible aspirants may apply in prescribed application form along with relevant documents & DD send to The Addl. General Manager (HR&A) Recruitment & Manpower Planning Cell West Bengal State Electricity Distribution Company Limited Vidyut Bhavan, 7th Floor, „C‟ Block, Block-DJ, Sector-II Bidhannagar,Kolkata-700091 on or before 28.12.2017.